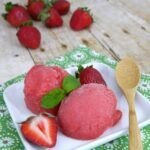 This strawberry sorbet is wonderfully refreshing, and the addition of vodka makes it a special adult treat! 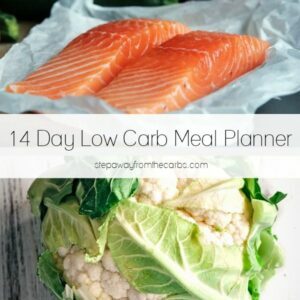 Low carb, sugar free, and keto recipe. Ever fancy a frozen treat that is just for you?!? 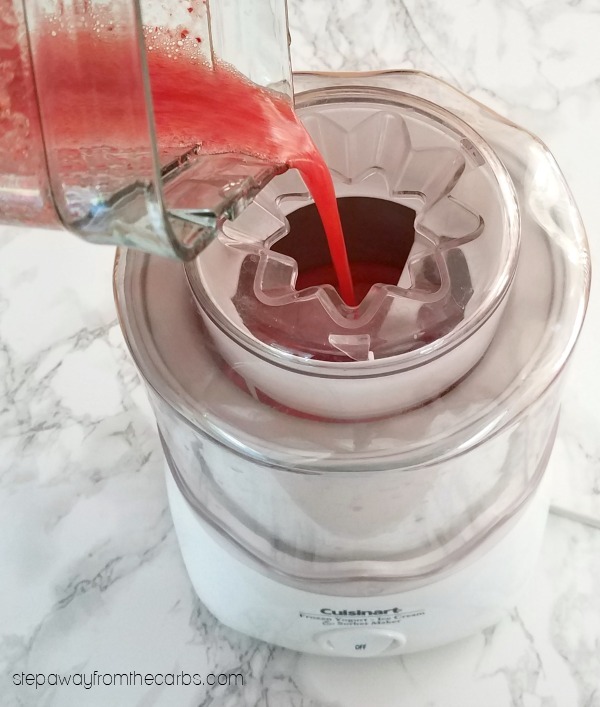 This sorbet is absolutely perfect for cooling down on a hot day, and the addition of vodka does more than keep the kids away, it also prevents it from going super hard. 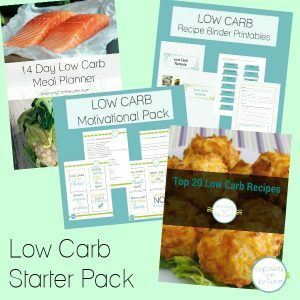 I wrote about all the ways of making SOFT low carb ice cream a while ago – and although not all methods are suitable for a sorbet, enhancing it with alcohol is definitely one of them that works! 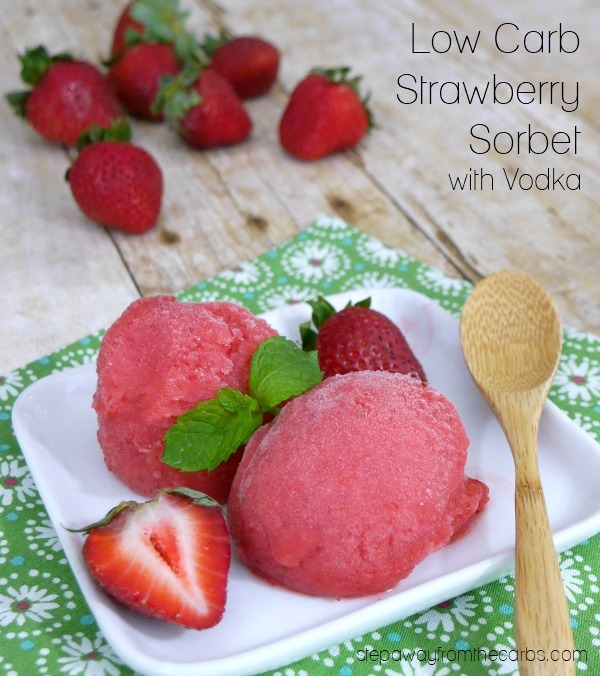 Of course, you could definitely make this strawberry sorbet *without* the vodka. But that would be no fun! Serve this sorbet as a dessert, a refreshing snack, or alternatively divide it into smaller portions for a fancy “palate cleanser” at an adult dinner party! 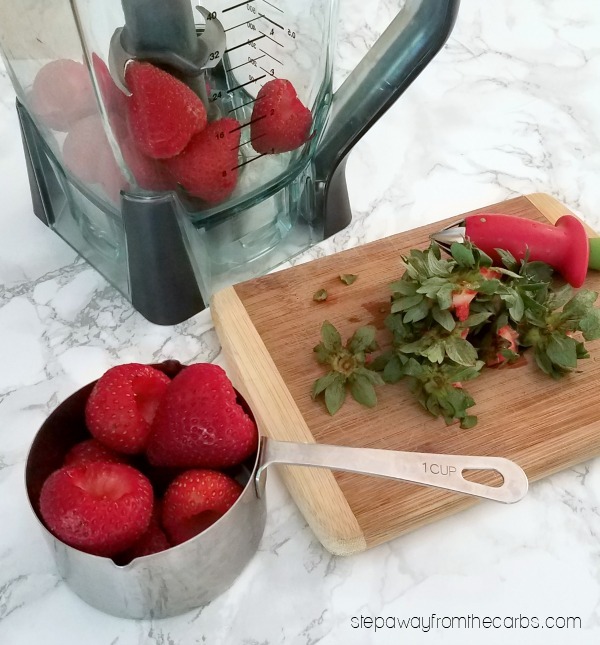 To make the base of the sorbet, add hulled fresh strawberries to a blender – I love my Ninja blender and I’d be lost without my handy hulling tool! (Note: in the instructions I’ve said this recipe needs 2 cups of strawberries, which I’ve always thought is a ridiculous way of measuring fruit that can be different sizes! I meant to weigh them as well but forgot, but I did note down that there are about 8 small-medium strawberries per cup, so around 16 total). 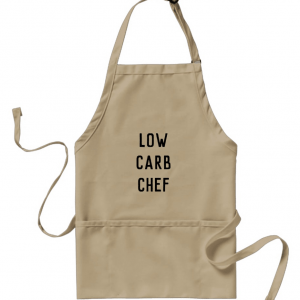 Add your choice of low carb granular sweetener (eg xylitol or Swerve), lemon juice, vodka, and water. Blend until smooth. You could strain or sieve it at this point to remove any remaining strawberry pips, but personally I don’t think it’s necessary! Chill the mixture for an hour (unless the strawberries have come straight from the fridge anyway – the mixture will probably be cold enough), then churn in an ice cream maker. Follow the manufacturer’s instructions then transfer to a container and place in the freezer for three hours. This strawberry sorbet is a wonderful adult treat on a hot day! 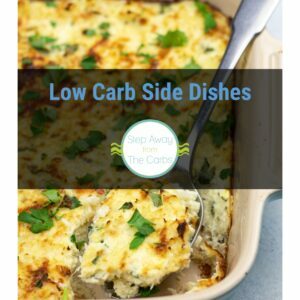 Low carb, dairy free, and sugar free recipe. Chill the mixture for an hour, then churn in an ice cream maker. Follow the manufacturer's instructions, then transfer to a container and place in the freezer for three hours. Does not include sugar alcohols from the sweetener.